Welcome to our series in which we discuss the cloud challenges and opportunities of various vertical domains and how NetApp customers are leveraging Cloud Volumes ONTAP to maximize business results in those verticals. In the previous posts, we focused on the Media sector and on software vendors. In this post, we focus on the human resources (HR) sector’s cloud-based solutions. The HR industry has undergone a dramatic transformation since the turn of the millennium, embracing the advanced, cloud-based HR solutions that make use of technologies such as machine learning, artificial intelligence, big data analytics, and even IoT. The HR stack has evolved from back-end enterprise systems of record for payroll, benefits administration, and so on to integrated talent management suites that screen candidates, measure performance and job satisfaction, empower employees, and boost overall organization performance. The core cloud-based HR solution market is expected to be worth close to $10 billion by 2022, with its double-digit growth driven in large part by the enthusiastic adoption of SaaS platforms by enterprises and organizations of all sizes, including small and medium. This blog explores some of the special challenges and benefits of human resource management systems in the cloud and how NetApp’s HR solution provider customers have been using Cloud Volumes ONTAP to fuel their growth. By definition, HR systems handle highly sensitive data, from employment agreements to salaries and benefits, performance evaluations, and more. That means data security and protection have to be paramount features of human resource management systems being deployed on the cloud. Enterprises must be able to show regulatory authorities that they have implemented robust governance measures to prevent unauthorized access to employee data, as well as minimize data corruption or loss. The dominance of SaaS solutions in this vertical is testimony to the growing market realization that the cloud—and especially hybrid cloud—is at least as secure as on-prem infrastructures, if not more so. Depending on the size of the organization, the volume of HR data can also be extremely large. The first cloud challenge that this pose is the initial lift and shift when migrating HR systems to the cloud. Once in the cloud, the costs of storing HR data for production, backup, and long-term retention purposes can spiral out of control if not managed carefully. Yet, another cloud challenge for HR solutions is availability. Although not a business-critical function that requires high availability, today’s HR suites are highly integrated into ongoing business functions and employees have come to expect on-line, continuous access to their own personal data as well as to corporate training and networking portals. In today’s highly competitive global economy, it is expected that HR platforms be consistently and comfortably accessible. This requirement can be even more challenging for geographically dispersed enterprises. Last but not least, many enterprises have come to understand the value of mining HR big data for actionable insights into which HR processes are achieving their objectives and which can be improved to maximize business performance. Being able to consolidate HR data silos and shift HR big data cost-effectively into cloud analytics’ platforms has become a cloud challenge and opportunity. Shared file access serving NFS & SMB file formats across Windows and Unix/Linux OSes. The AWS high availability configuration, providing the failover and failback processes to maintain the strictest RPO=0, RTO<60 seconds standards. Data tiering on AWS or data tiering on Azure, which automatically identifies and tiers infrequently-used data in higher-cost block storage to lower-cost long-term object storage. Thin provisioning, which allocates storage capacity dynamically from a shared storage pool when HR data are actually being written to a volume. Data compression, data deduplication and compaction that, working together, can reduce data blocks by 50% or more. SnapMirror® data replication, which maintains instantaneous, incremental snapshots with no impact on performance and virtually no additional storage costs. FlexClone®, which leverages NetApp’s snapshot technology to create cloned writable volumes instantly, with zero-capacity penalty. Cloud Manager, Cloud Volumes ONTAP’s single-pane control panel, provides visibility into and seamless management of HR data assets across on-prem, public and private cloud deployments, and supports automation and orchestration processes. In short, Cloud Volumes ONTAP goes beyond cloud-native tools and services to help organizations cost-effectively move, store, protect and manage their HR data, making sure the right data is available to the right people at the right time. The Cordant Group, based in the UK, provides integrated services to enterprises including personnel recruitment and seamless services that boost performance and profitability. Their business challenge was to move their entire IT infrastructure—websites, proprietary SQL-based applications, and Citrix thin client services—to the AWS cloud. Using Cloud Volumes ONTAP, they were able to implement a straightforward cloud transition, with no need to overhaul their applications. They then found that they were able to lower their overall IT costs both by the cloud-enabled shift from CAPEX to OPEX, as well as leveraging Cloud Volumes ONTAP’s storage efficiencies. Other important benefits for them were: the ability to handle both SMB and NFS formats, and reliable coverage across multiple availability zones. This multinational company based in San Francisco provides cloud-based Human Capital Management (HCM) solutions using the SaaS model. 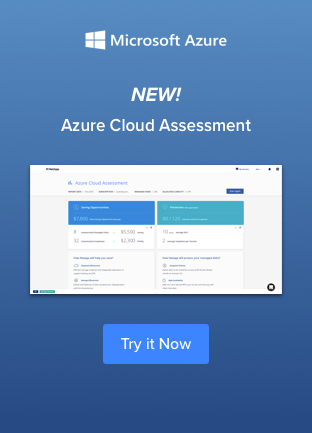 The customer had three key business challenges that it wanted to address: migrate production workloads and a disaster recovery (DR) copy to the Azure cloud without changing on-premises processes and procedures; leverage on-premises systems for archiving; and allowing their worldwide sales team to demo the system from anywhere. They lifted and shifted applications to the cloud, moving workloads and data “as is”, while still being able to apply the same on-premises processes in the cloud. They reduced their on-premises data center footprint by easily establishing a hybrid cloud architecture. Cloud Manager provides them with single-pane control and orchestration. Another NetApp customer is a global provider of comprehensive cloud-based HCM solutions (HR, payroll, talent, time, tax and benefits), and a leader in business outsourcing services, analytics and compliance expertise. They serve around 630,000 customers in well over a hundred countries. Their main business challenge was to migrate on-prem SMB file storage to cloud-based SMB file shares for payroll, leave management, time and attendance and performance management modules. They were pleased with the ease of Cloud Volumes ONTAP deployment and the smooth data migration from on-premises to the AWS cloud. The HR industry has radically shifted as it takes advantages of human resource management systems that are based on cloud solutions. But they can’t do it alone. Cloud Volumes ONTAP has brought tremendous value to NetApp’s HR customers. Through frictionless lifting and shifting of data and workloads to the cloud, support for both SMB and NFS file shares across hybrid environments, cost-saving storage efficiencies, robust backup and DR solutions, and single-pane orchestration and management across complex hybrid and multi-cloud environments, cloud-based HR solutions are easier than ever to create and manage. You can try out Cloud Volumes ONTAP yourself with a 30-day trial on AWS or 30-day Azure free trial.